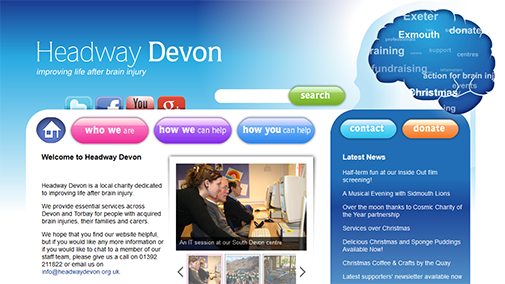 For many years now we have provided technical support to Headway Devon, which is a local charity providing essential support and a range of services to people who have suffered brain injuries, and helps them to improve their lives. From direct and ongoing support for desktop, laptop and server computers at the organisation's headquarters, through to establishing more secure and effective network systems. Cosmic has also taken on the work of purchasing, installing and configuring new IT hardware and software, and supporting staff to learn new processes and skills at the same time.